With 3D printers it is not rare that you get failed prints due to filament jamming in the extruter of the device, especially when you are printing larger and more complex objects it can be really annoying if because of a jam you need to start over and you were almost finished. 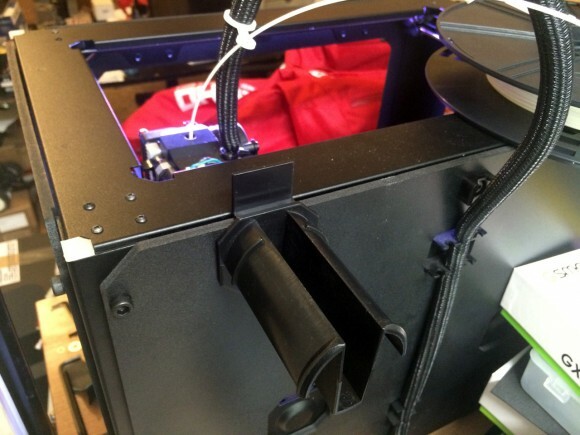 The good thing is that you may be able to still finish your print and have a useable part with none to some minimal issue that you might be able to still fix after the part is printed. What you need to do is to closely monitor your 3D printer while printing and especially listen to it while printing and if you hear the traditional sound of clogged extuder repeating a few times then you should react very fast and pause the printing process. On our MakerBot Replicator 2 3D printer we need to hit the left button to go to the Menu and select Pause, then quickly go to the Change Filament, other 3D printers should have similar way of doing the same thing. Then you need to quickly pull out the filament from the extruder while it is still very hot and you can break or cut a small piece from the front and reinsert it quickly. We are doing it so fast already that there is no need to use the Load function for the filament, we just push it a bit to clear our the printing nozzle and then Resume printing. Make sure you go to the Change Filament menu as it will reposition the build plate away from the nozzle as only pausing the printing process will not do that. If you try to push the filament only with a paused printing you can damage your print if too much filament comes out of the nozzle when you push it back on. 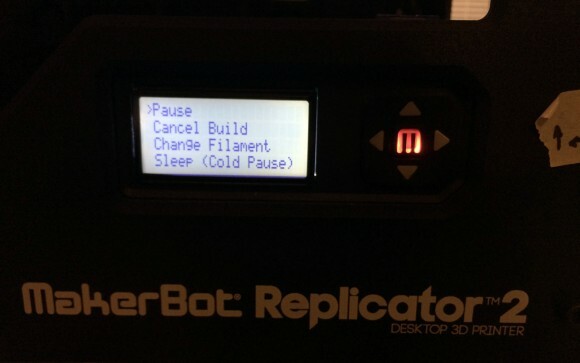 Also if you do are not able to quickly do the procedure you might want to run the Load script of the Replicator 2 or your respective printer as it will first heat up the extuder to the desired temperature. 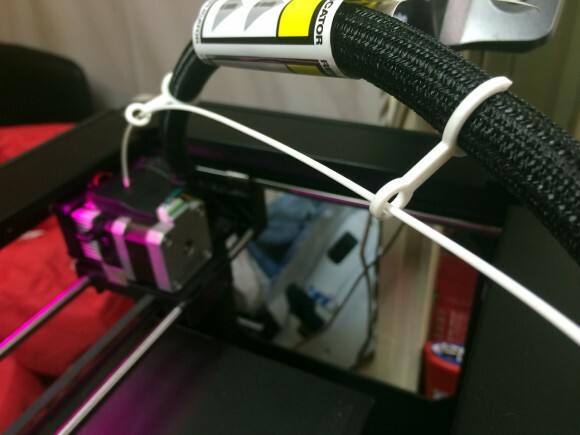 This is good for the first few times you are doing this in order to avoid the extruder cooling too much to be able to properly melt the filament you are pushing through it. The more experience you get using your 3D printer the more you will be able to master it and do things such as clearing filament jams when they appear and resume printing or readjusting the level of the build plate as you are printing in order to have best results. So keep experimenting and playing with the features of your 3D printer, we are already quite good at using our MakerBot Replicator 2 and are able to get rid of most issues without having failed prints. 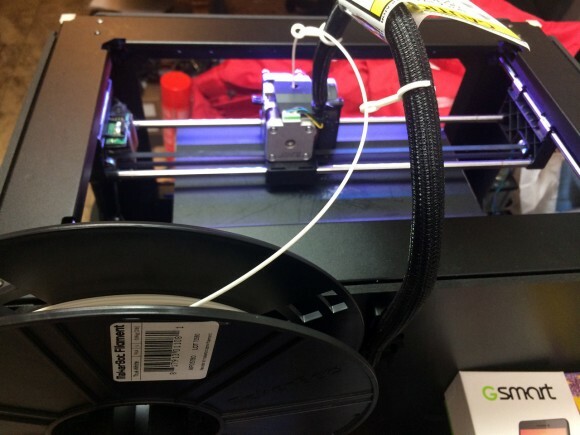 Of course also doing some upgrades and modifications to your 3D printer can also help in greatly increasing the device’s reliability and reducing the issues, but you should be careful with these if you are not very handy with the DIY stuff that you often need to perform. 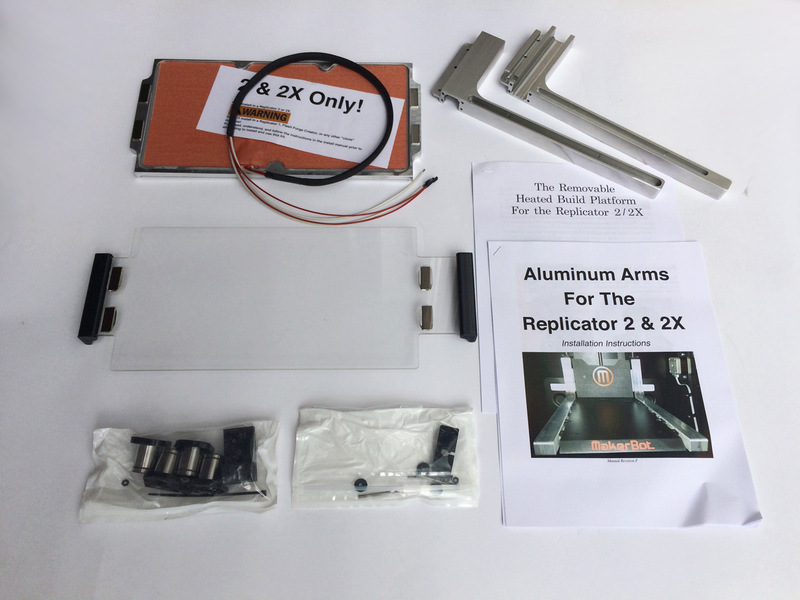 We’ve already shared out experience with various modifications and tips and tricks that we have learned from using our MakerBot Replicator 2 3D printer, so do make sure you check these out as they may also be applicable to many other devices or at least some of them should be.